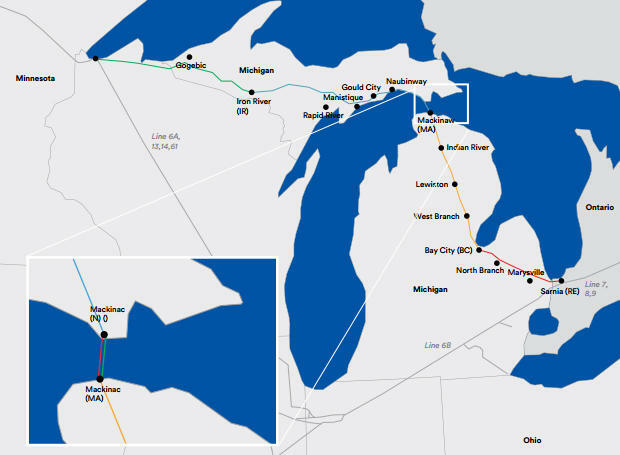 Enbridge's Line 5 from Wisconsin across Straits through Michigan to Ontario. 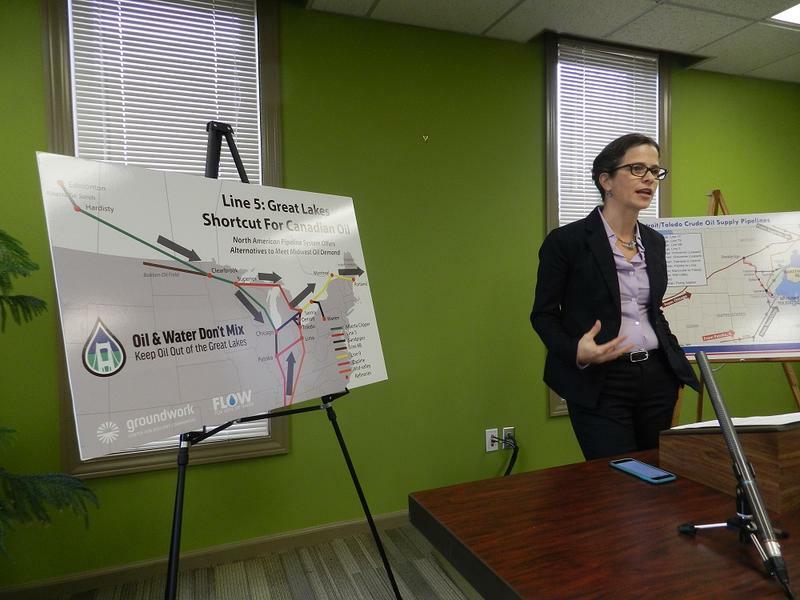 A final state-commissioned report on alternatives to Line 5 is out. People are looking for those alternatives because the pipeline runs under the straits of Mackinac, and a spill could be catastrophic. 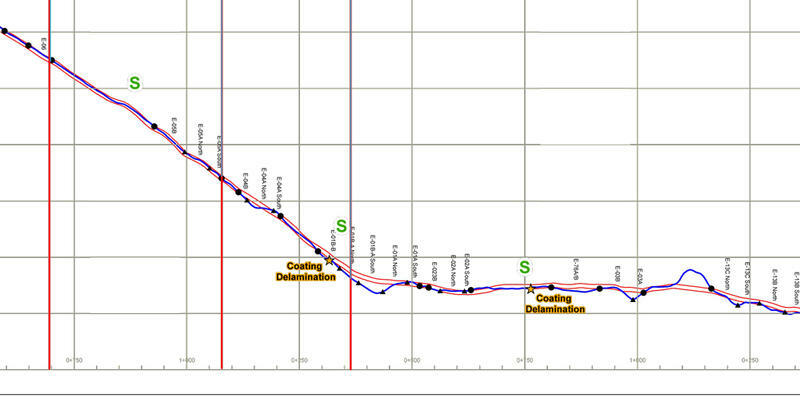 The highly technical report from Dynamic Risk Assessment Systems claims the overall risk of a spill from Line 5 is very small. Most people worry about the pipeline losing its protective coating, or metal fatigue caused by stresses from the strong currents, but the report claims the greater threat is a ship anchor striking the pipeline. The alternatives considered range from an expensive $2 to $3 billion new pipeline that avoids the Great Lakes altogether to constructing a new section of the pipeline across the Straits in a trench or tunnel. That alternative would cost between $30 to 150 million, according to the analysis. Wednesday, Dec. 6, in Taylor, beginning at 6 p.m., at the Heinz C. Prechter Educational and Performing Arts Center, Wayne County Community College District, Downriver Campus, 21000 Northline Road. Tuesday, Dec. 12, in St. Ignace, beginning at 6 p.m., at the Little Bear Arena & Community Center, 275 Marquette St.
Wednesday, Dec. 13, in Traverse City, beginning at 6 p.m., West Bay Beach Holiday Inn Resort, Leelanau Banquet Rooms, 615 E. Front St. The report can be viewed here in its entirety. Meanwhile, Dr. Guy Meadows of Michigan Technical University, one of the members of the state's pipeline task force, is in the process of forming a team of academic experts to perform a separate risk analysis of the current pipeline. That process began after the contract with the state's chosen contractor for the risk analysis was terminated, after a undisclosed conflict of interest was discovered. Our Canadian friends at Enbridge Energy may have a Trump problem with their Line 5. You’ve heard about Line 5 by now. 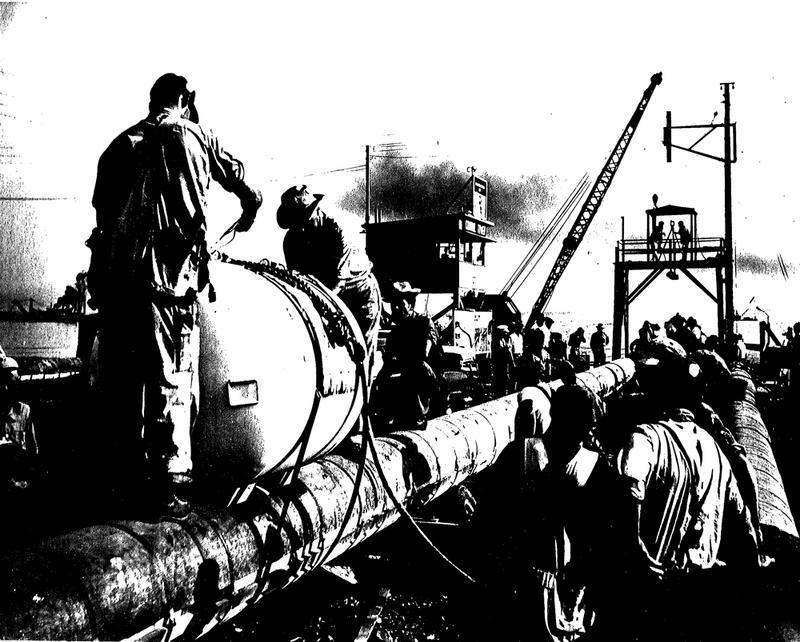 It’s the pipeline – laid in the mid '50s – before the Mighty Mac connected the Upper and Lower peninsulas. Just a few months ago, tiny patches of coating were said to be worn off the pipeline. Now the company is telling the state and anyone else who cares – and in the Great Lakes State a lot of people care – there’s more missing. Howes: Why aren’t more Michigan business leaders expressing concern about Enbridge’s Line 5? 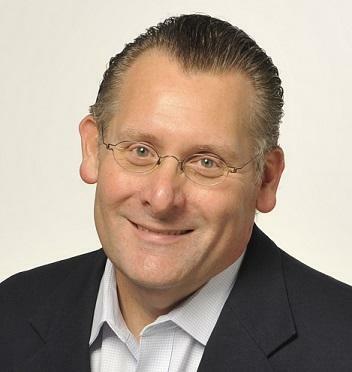 Stateside’s conversation with Daniel Howes, a business columnist for the Detroit News. It’s been a steady drip-drip-drip of revelations from Enbridge Energy about its Line 5 — the oil and gas pipelines running beneath the Straits of Mackinac. The latest revelation is that there are more spots where the protective coating has worn off — lots more spots, even though a year ago we were told there weren’t any coating gaps. But what are we hearing from Michigan's business leaders? Stateside's conversation with pipeline safety expert Richard Kuprewicz. There’s something that seems to have united state officials and representatives across party lines and despite political disagreements. That something is a new safety report from Enbridge Energy on Line 5, the pipeline that runs beneath the Straits of Mackinac. State officials say they’re troubled by a new safety report from Enbridge Energy on Line Five. The report says there are more spots that have been laid bare to the metal because its safety coating has worn off. Enbridge Energy delivered that report to state officials Monday. The principle a doctor is supposed to follow in dealing with patients is, “first, do no harm.” The most valuable natural resource this state and region has is undoubtedly the Great Lakes. They contain twenty percent of the world’s surface fresh water. They mean billions of dollars every year in recreational boating and fishing and other activities. The state of Michigan has scrapped a risk study on Enbridge’s Line 5 and fired the contractor just a week before a first draft of the report was to be released. 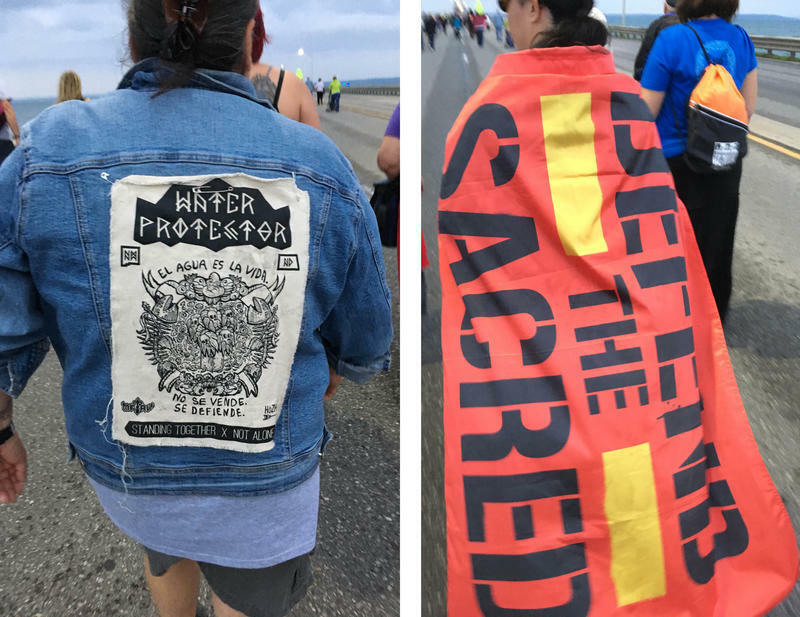 Chants of "Mni wiconi" (meaning "water is life" in Lakota) punctuated the annual Mackinac Bridge Walk on Labor Day, where tens of thousands of Michigan residents made the five-mile trek from St. Ignace to Mackinaw City. Indigenous and environmental activists came from around the state for a full weekend of events calling for the shutdown of Enbridge's Line 5 oil pipeline. The 64-year-old pipeline runs beneath the Straits of Mackinac and carries up to 540,000 barrels of oil per day. Stateside's conversation with Larry Bell, founder and president of Bell's Brewery. In a new report released today, the National Wildlife Federation took a look at data on currents in the Straits of Mackinac. 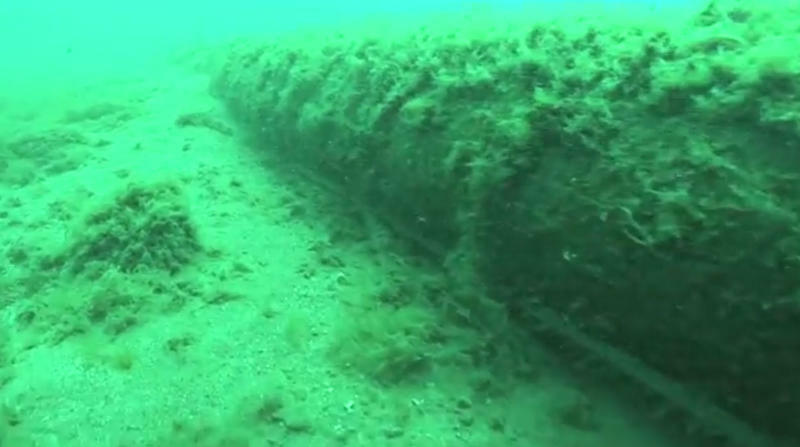 That’s where Enbridge’s twin pipelines run along the bottom of Lake Michigan. Mike Shriberg is the executive director of the Federation’s Great Lakes office. “What this report shows is that there are additional stresses on this pipeline beyond what it was designed for," he says. There are many Michiganders feeling uneasy about the idea of those 62-year-old twin oil pipelines running along the bottom of the Straits of Mackinac. The aging Line 5 can carry 540,000 barrels of oil and natural gas liquids each day. Enbridge has made promises to keep the pipeline maintained and said it’s got an emergency response team in place, but there’s a complicating factor that no one can control: big, turbulent waves. There's been a lot of concern expressed about Enbridge's oil and liquid natural gas pipelines running under Lake Michigan at the Straits of Mackinac. But Keith Matheny of the Detroit Free Press reports that an oil spill contingency specialist with the U.S. Coast Guard is more worried about the above-ground section of Line 5 running across the Upper Peninsula. Representative Yousef Rabhi, D-Ann Arbor, says he’s talked with people from around Michigan who are worried that if Enbridge's Line 5 oil pipeline were ever to spill, the Great Lakes would be devastated. An Enbridge work plan document shows areas where a protective coating around its twin oil pipelines running through Lake Michigan might be failing. Enbridge posted the document on its website last fall. It shows 18 specific areas along the pipelines where there is “coating delamination.” The 64-year-old pipelines were installed with a coating around them to protect for corrosion. 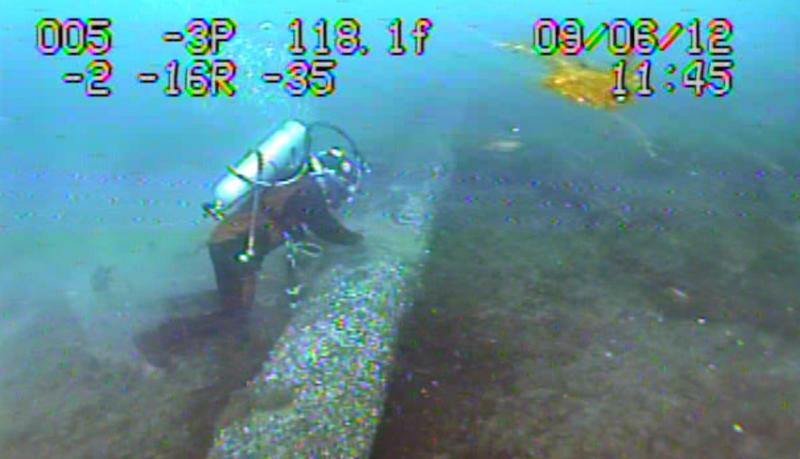 Michigan’s energy chief says Enbridge downplayed the significance of damage to the protective coating on its oil and gas pipeline that runs under the Mackinac Straits. 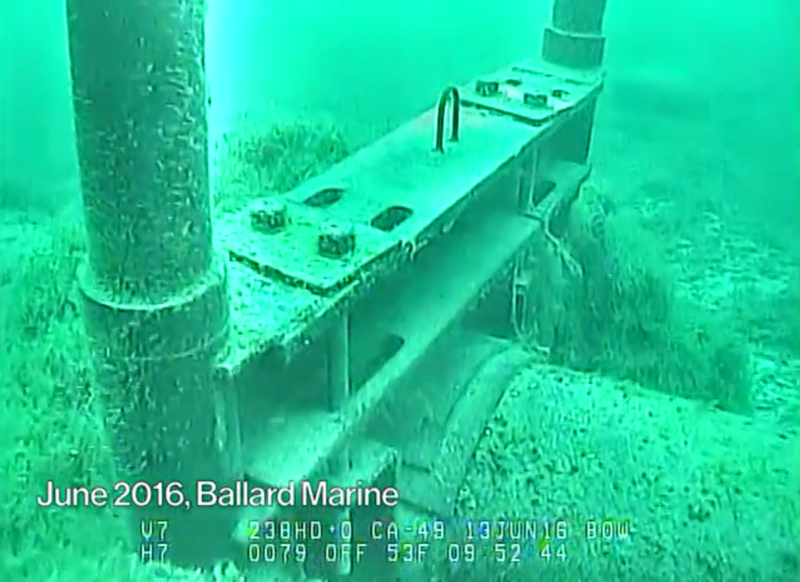 Parts of the coating were removed while workers installed safety anchors on a portion of Line 5 that runs beneath the Straits of Mackinac. The patches where the metal was scraped bare are close to a foot in diameter. That's much larger than Enbridge initially reported. An oil pipeline running beneath the Straits of Mackinac could be shut down under a bill in the legislature. The company that operates the pipeline insists it’s safe. Nevertheless, State Senator Rick Jones wants a third party analysis of Line 5. People who want Enbridge Energy's Line 5 shut down plan to make it an issue at next week's policy conference on Mackinac Island. The oil pipeline runs under the Straits of Mackinac, near the island. Enbridge Energy is the company responsible for the largest inland oil spill in U.S history, which happened when the company's Line 6B ruptured near Marshall, Michigan in 2010. The massive oil spill dismayed a lot of people, including Republican State Sen. Rick Jones. 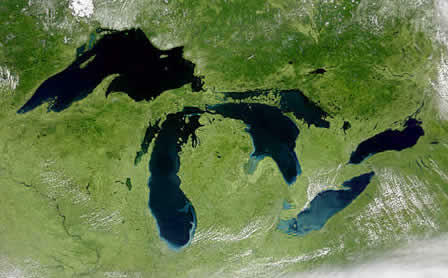 He says Michigan can't risk having a spill in the Great Lakes. Enbridge Energy is sponsoring new efforts to monitor waters above its aging pipeline in the Straits of Mackinac. Enbridge is working with the Great Lakes Research Center (GLRC) out of Michigan Technical University to build and operate a buoy to measure currents in real time. That information will be made available for anyone to view online. 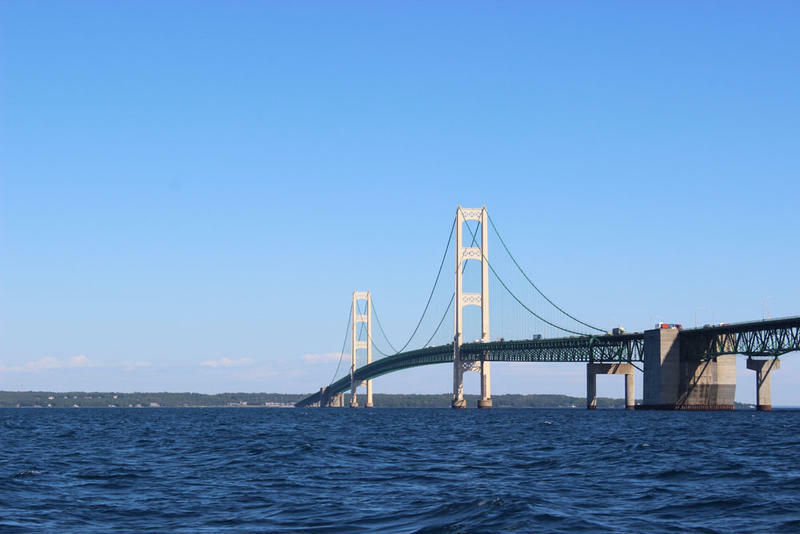 Environmental advocates are calling for Enbridge to shut down its Line 5 pipeline which runs beneath the Mackinac Straits. 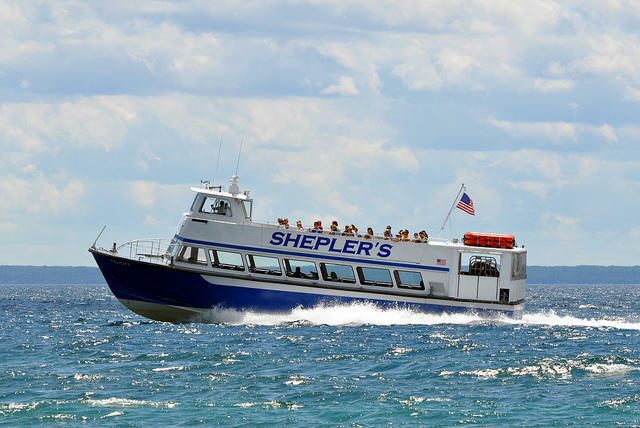 The Traverse City-based environmental group For the Love of Water (FLOW) issued a report today questioning the safety of the 62-year-old line. The report says structural concerns and possible corrosion put the line at risk for leaks and ruptures. An environmental group says oil pipelines running beneath the Mackinac Straits could be shut down without disrupting oil and propane supplies in Michigan. Environmentalists say there is enough capacity on other pipelines skirting the Great Lakes to reroute the crude oil currently flowing through Line 5. The report says at least 90% of Line 5's oil goes to Canadian refineries, so it's not essential for the Marathon refinery in Detroit. The state of Michigan, environmental groups, and reporters like myself have been asking Enbridge for more specific information about the condition of the pipelines for more than two years now. The company has released limited information in the past, but stopped short of releasing detailed reports that show the condition of the pipelines. When it comes to this kind of information, the company holds all the cards. 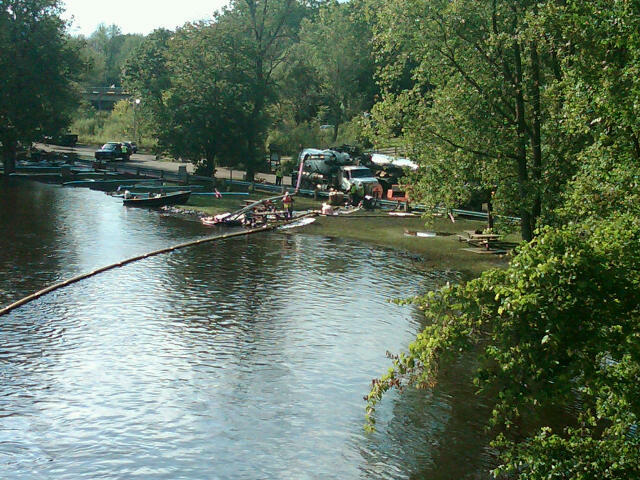 The oil spill disaster on the Kalamazoo River got many in Michigan wondering about the state of Michigan's oil and gas pipelines.